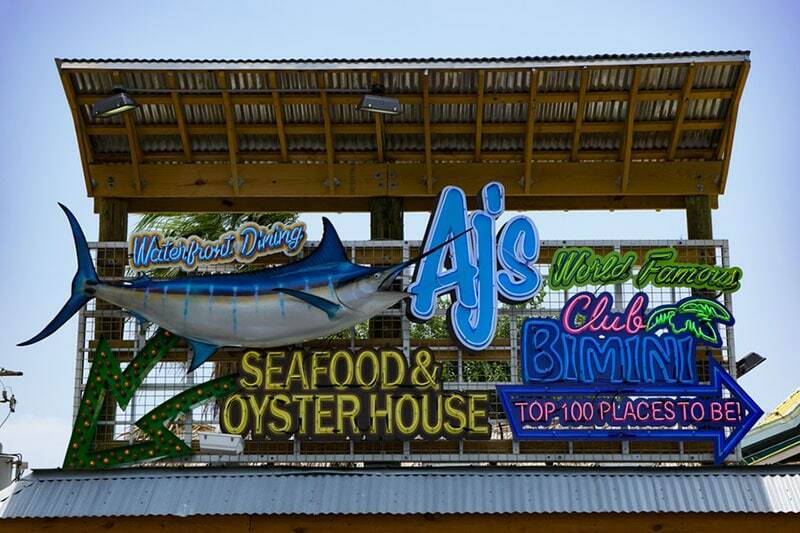 Make the most of your space, rain or shine. There’s nothing more expensive to a restaurant than an empty table. 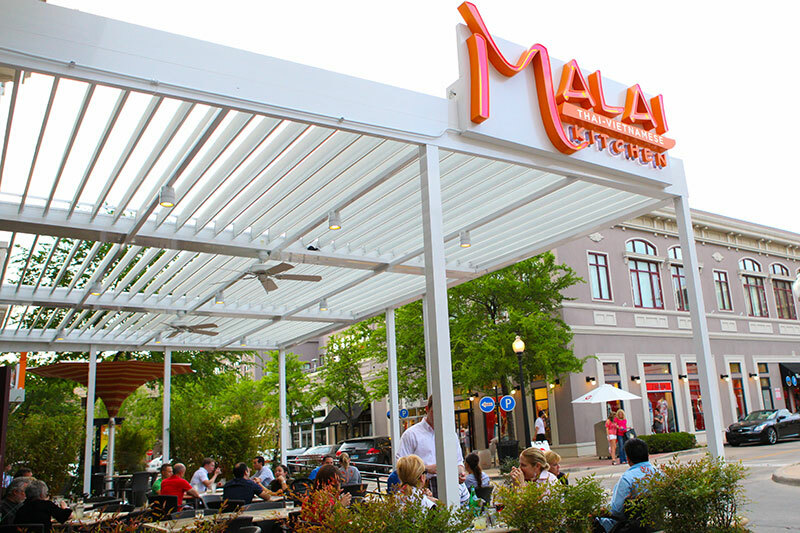 With unpredictable weather, your hosts and hostesses may be hesitant to accept a patio reservation, effectively selling your business short and making you less profitable. 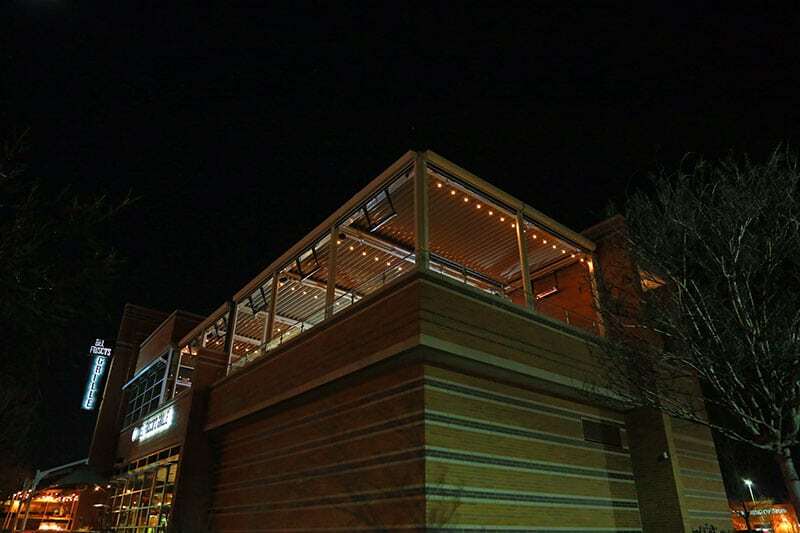 With the Equinox Louvered Roof system, this is a problem of the past. 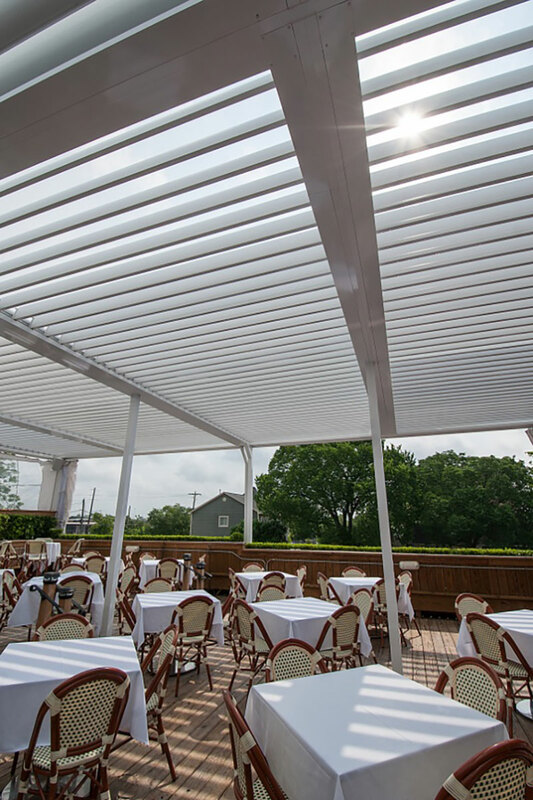 Each of our expertly crafted louvered roof systems are designed to maximize the use of your outdoor dining or relaxing space, so guests can enjoy their meals or massages al fresco, without the worry of rain or harsh sunlight. 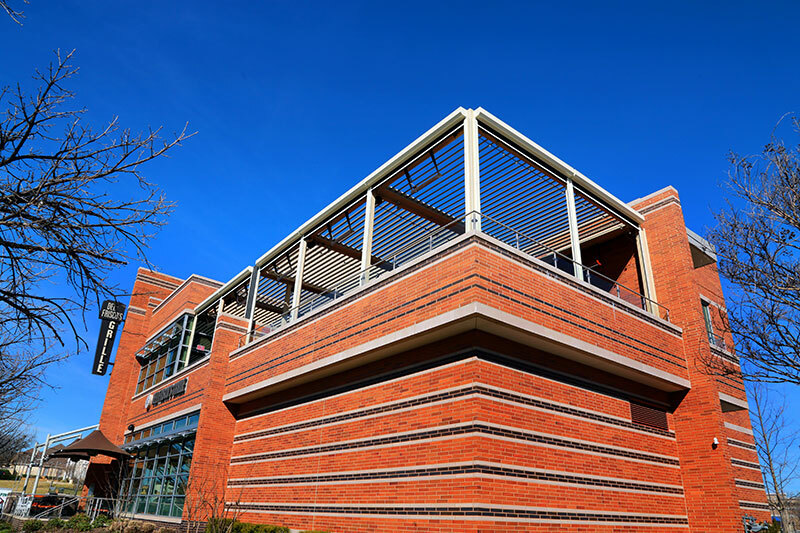 But on beautiful days, a click of a button opens the louvers and allows sunlight to filter through so everyone can enjoy the nice weather. 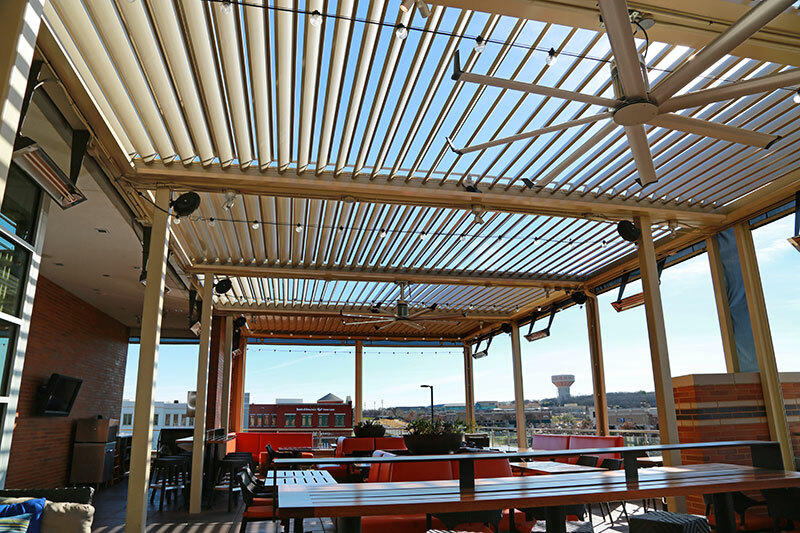 How Does the Equinox Louvered Roof System Work? 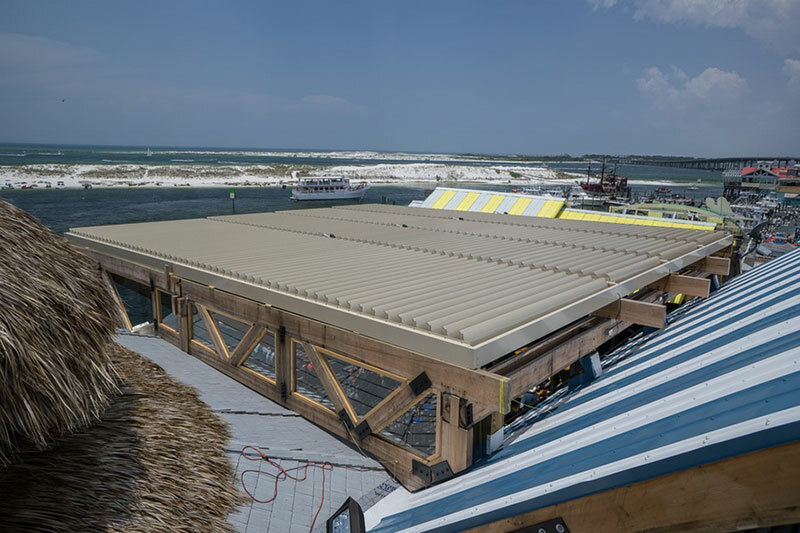 A precision-engineered motor controls the louvers to guide them into the perfect position for shade, ventilation and sunlight, or rain protection. 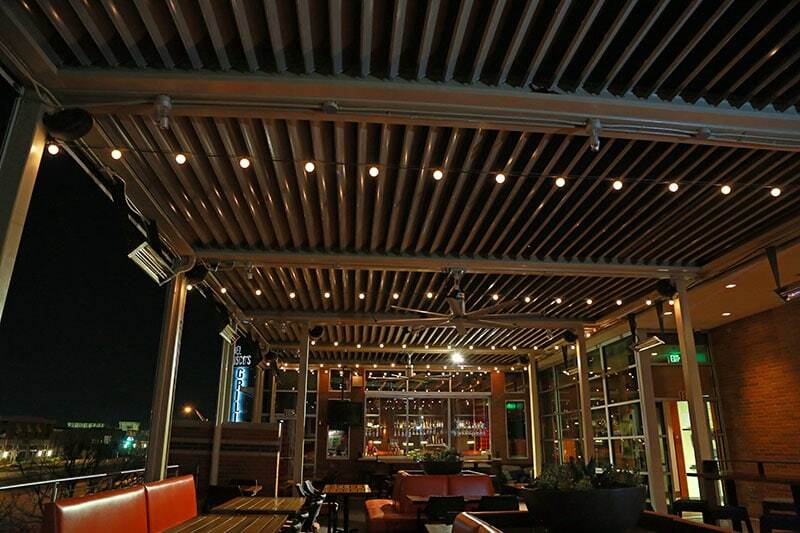 These louvers have a 160 degree range, so they can be positioned at virtually any angle to optimize the amount of light or shade needed. All of this control is at the flip of a switch—your system comes with a convenient panel that allows you to turn a slated roof into a fully solid one in a matter of moments. 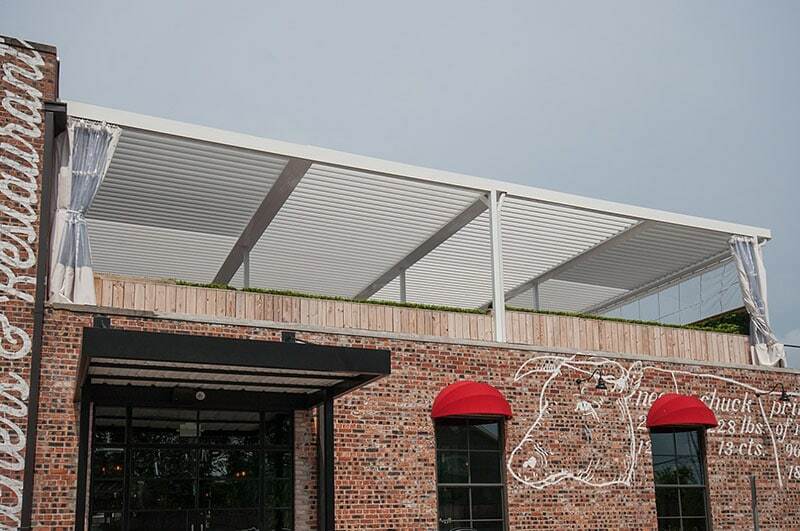 How is the Roof System Customizable? 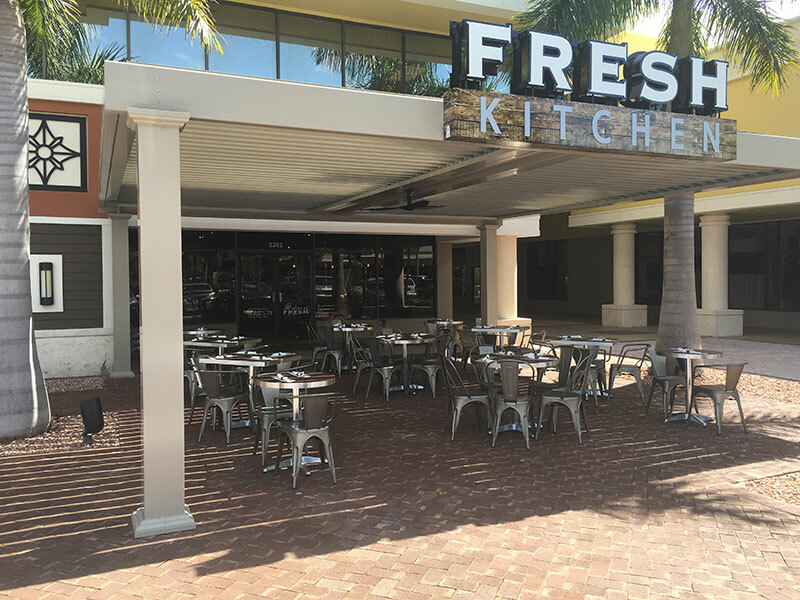 We know not all businesses are alike, which is why our structures come with versatile design and functionality options, so that yours fits your vision perfectly. Colors. 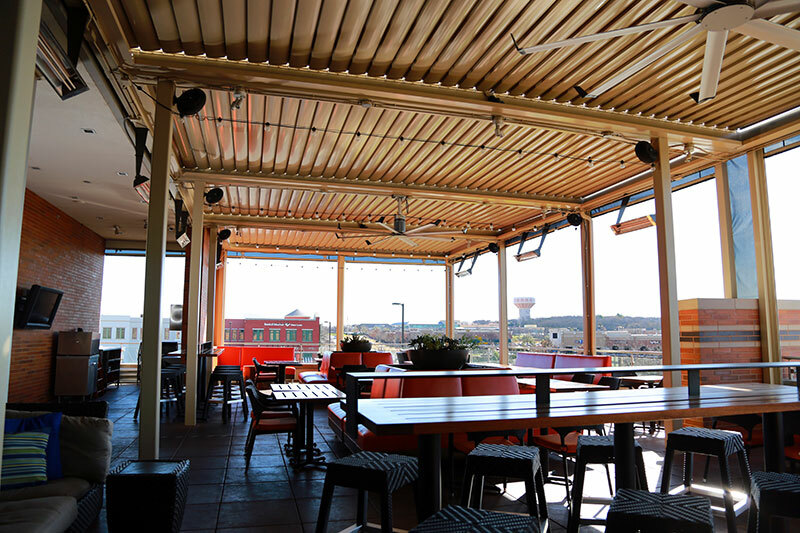 Available in white, sandstone and clay, the Equinox Louvered Roof system is designed to fit with most architectural styles. Columns and Beams. 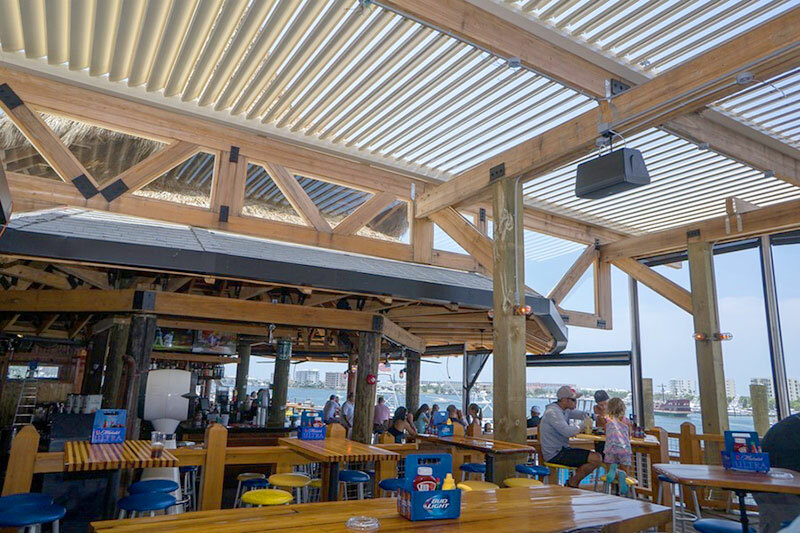 Customize the look and feel of your louvered roof with beam and column style options like round, tapered, square or fluted. Fans, Speakers and Lighting. Opt for elegant hanging lanterns, modern recessed lighting, or whichever lighting suits your space. Fans, speakers and other systems can be installed to create the perfect ambiance for your guests. Radiant Heat and Misting. Keeping guests warm and cozy or cool and refreshed has never been easier. 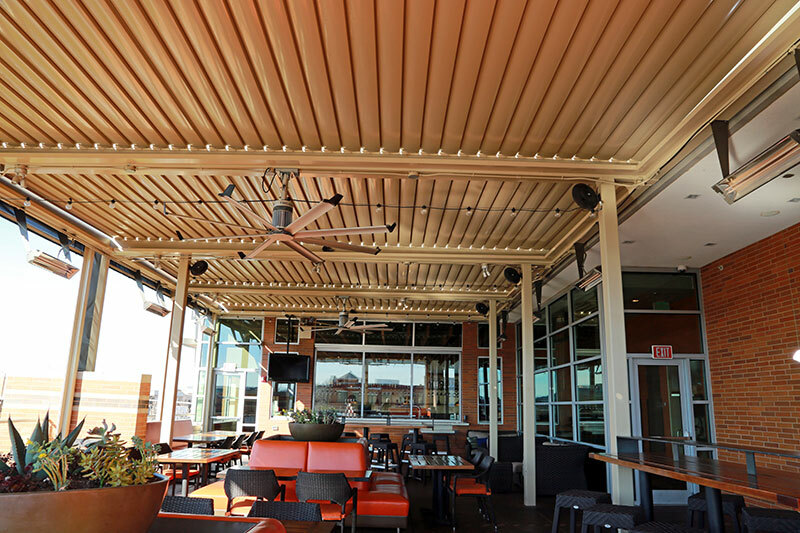 With the support of a louvered roof system, heaters and misters can easily be installed and utilized to their full potential.